They’ve only just arrived so I’ve yet to introduce them to yarn. There’s a small matter of a pair of socks and a shawl to complete before these babies are pressed into service. 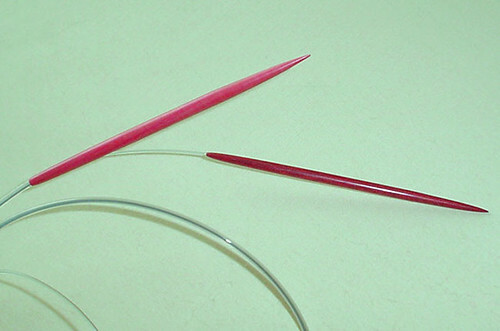 Until I do, I am content to marvel at the perfect shaping of the business ends with their smooth joins and pliable cables; to feel the slender, exotic hardwoods of these, the first ever needles made just for me! Beautiful needles. I love good woodworking. So that make two needle sources you’ve turned me on to in two days. Good thing I like to have lots of needle choices at hand. I cannot believe you’re very sweet “alert” this afternoon, you crack me up! Those are some pretty needles. Beautiful. Wow these are gorgeous! I am going to have to place an order for a pair to make my Iccarus shawl! Too pretty to use — wear them as a necklace! Those are some kind of gorgeous needles! Wow, those are beautiful. I bet they’ll be wonderful to knit with!